Escape from the big city to the French chateau setting of the 100th Bomb Group, nestled next to the runways of the Cleveland Hopkins International Airport. With manicured grounds and sweeping views overlooking the runway, fire pits to cozy up to, putting green to play on, delectable menus and toast-worthy happy hour deals, there’s no wonder the 100th Bomb Group has been voted one of the top 10 patios in Cleveland by The Weekender. Whether you're in search of a trip back in time to the decade of fly boys and good ol' American cuisine, a hand-crafted cocktail or a mouthwatering prime rib and good company to warm you up on a snowy, winter night, a spectacular setting for your special event, or a quiet retreat from the hustle and bustle of the big city, 100th Bomb Group Restaurant is your destination. 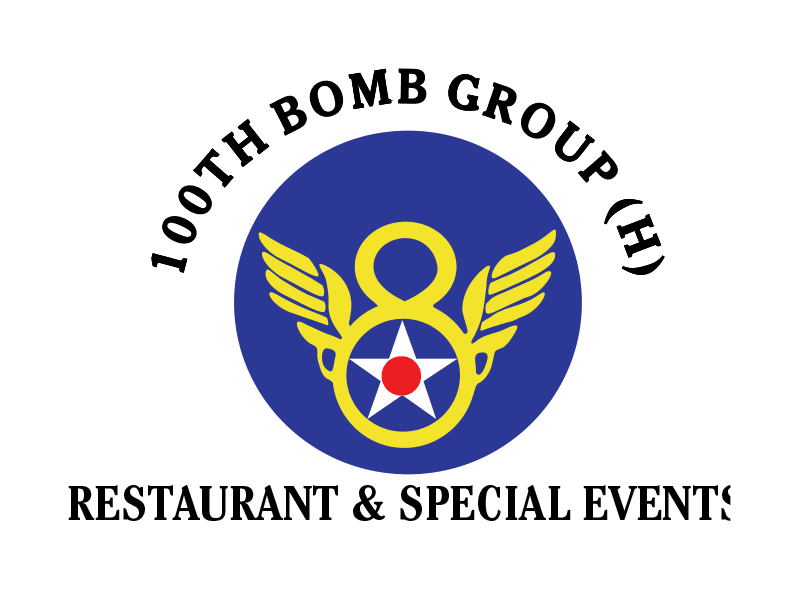 Whether you’re celebrating a life milestone or planning a business event, we welcome you to 100th Bomb Group. Our special events team is dedicated to making your next corporate event, wedding reception, social gathering, themed celebration or private party memorable. Let our expert event team design, coordinate and execute your occasion flawlessly.